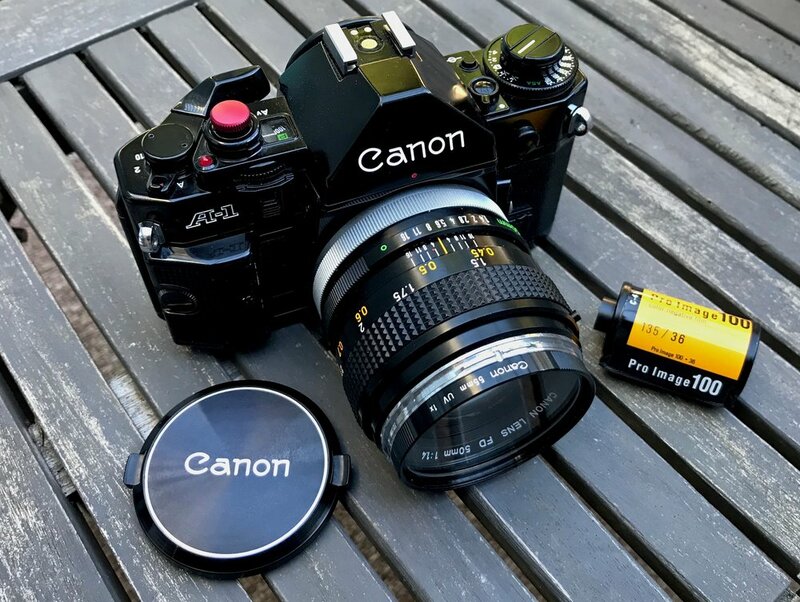 I picked up my Canon A-1 this weekend and realized that it had a half shot roll of Kodak Pro Image 100 in it. I can’t recall the last time I had used the Canon, but with 18 unexposed, it seemed perfect to take with me on my Sunday afternoon walk on the beach. I’ve been on the fence about this camera since I bought it, but today it felt just right. I don’t know, something clicked—no pun intended. I put the A-1 into program mode and got some shots that I might have otherwise not. I’ll drop the film off at the lab tomorrow. Anxious to see the results and what the first 18 frames contain. I had considered selling the A-1, but I am glad I didn’t. It’s growing on me.